This is no cookie cutter home, it looks and feels more like an custom built home in a great location!! The current owners added LOTS of upgrades that you get to enjoy! Some of the upgrades include great bamboo hardwood floors for the entire 1st floor, high quality kitchen cabinets with soft closers, granite counter tops with kitchen island. The first floor flows into kitchen with an open floor plan with lots of natural light and the family room has a gas fireplace. The upstairs has four bedrooms, master bed with a huge master closet space. This home offers a huge custom deck with a big tree with lots of shade, which makes you feel like you are in a park. This home has finished basement where you can watch a movie in a 150 inch big screen. 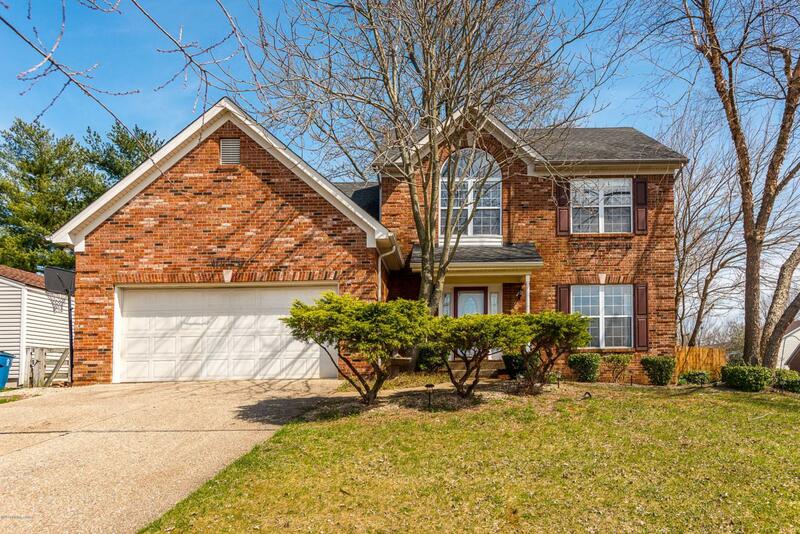 This home has so much to offer a large orgrowing family. Not one detail has been left out! The location speaks for itself, you can walk to Kroger and access Gene Snyder less than couple of mins. Lots of shade in the backyard with a beautiful play set for kids to play. If you like the pictures you'll love it in person. Please schedule a private showing asap, this won't last longer !! !